Planter boxes are versatile elements that are both functional and decorative. On the market, there are dozens of models of planter boxes made of wood, metal, plastic, or other materials. Nevertheless, DIY planter boxes can help you add a touch of originality to your outdoor space. If you’re boasting the skills but lacking the ideas, get inspired by our 42 creative DIY planter boxes. Enjoy! Cedar wood is often used for beverage boxes, planters, and even raised beds. However, it is easy to make your own DIY planter boxes from untreated cedar wood. You’ll only need a few wooden boards, a saw, nails, a hammer, and a little bit of dexterity. To make the planters last longer, you can even choose to treat the wood before planting your favorite flowers. Landscape timber is another versatile material to use for original planter boxes. You can build large boxes with the timber boards, cut square or rectangular boxes directly into the timber or use cut a timber board and use it to make a smaller planter. Regardless the idea, you can also choose whether to treat the timber with varnish or leave it natural. A truly easy and original DIY planter boxes idea is to use your old books as pots. There are many ideas to use and you’ll only need a bit of talent and imagination. For example, you can cut a small box inside a thicker book to create the planter, or glue more books together to make a larger box. The planter won’t last forever but it will make a wonderful statement while it does. A whiskey box can easily be transformed into a planter. Treat the exterior with lacquer or waterproof varnish, drill some holes into the bottom and fill it with potting soil. Plant your favorite flowers or herbs and your original planter is ready to use. If you have some artistic skills and love working with molded concrete, you can even make a concrete planter box. You can get inspiration from many sources, or you could create the beautiful planters pictured in the image above. Flea markets or garage sales are two places where it is possible to find recyclable vintage objects. If it happens to find an old stroller, you can use it to transform it into an original planter box. Infant carriers and baby baskets can serve the same purpose. Pallets are awesome. When it comes to gardening, you can recycle them to make a gardening table, an original fence, or even an original planter box. Use the wooden boards to make a planter box from scratch or simply position the pallet vertically and fill it with potting soil to create a vertical garden. All metal boxes can be used as planters. Whether you want to recycle a tiny tea tin, a first aid metal box or a large storage box, just make sure you drill some holes into the bottom before filling it with soil. To make the planter last longer, paint the box with anti-rust varnish. If you recently changed your windows, you can use the old frames to make original planter boxes. Simply glue or nail the wooden boards together to make a frame of the desired shape and size. To give it a more original look, paint each wooden board in a different color. An idea is to use several shades of blue and green mixed with white. Instead of throwing away your old furniture, use it (or parts of it) to furnish your garden. An original planter box made from an old drawer will certainly add some character to your yard. You can use drawers from any piece of furniture, regardless of the material. Moreover, if they are metal or wood, you can even paint them in the desired color. A wooden log planter box matches perfectly in a rustic environment. There are dozens of models available on the market, but you can have a lot of fun doing it yourself. Wooden logs are easy to find at local carpenter’s shops and you’ll only have to nail or glue the logs together to obtain the perfect box. With a few sculpture skills, you can transform large river stones into original planter boxes. Just cut rectangular holes into a few stones and use them as pots. River stones absorb and maintain moisture very well, so you’ll not have to worry about watering the plants too often. Tree bark can also be used to make original DIY planter boxes. You can make all the sides of the box with tree bark and use a wooden sheet for the bottom, or just glue the tree bark on the lateral sides of a wooden box. It’s totally up to you but we can guarantee the beauty of the planter. Concrete bricks can be transformed into original planter boxes and they match perfectly in a modern or minimalist décor. Fill the bricks with potting soil and use them as small planters. You can arrange them in any pattern to achieve original effects. An old metal tool box can also be transformed into a planter. Don’t forget to drill some holes in the bottom of the box before filling it with soil. In my opinion, leaving the tool box with the original paint is ideal if you are looking to achieve a vintage, shabby chic effect. You have two options here. Either buying stained wood boards and use them to build a planter box from scratch or buying an untreated wooden planter and stain the wood yourself. The choice should be based on your skills but regardless the method, you’ll achieve a wonderful planter to pair either in a traditional or in a modern environment. This type of planter box can be made of recycled pallets, from old wooden boxes or from a brand new wooden planter you’re willing to transform. To make the flower cascade, just cut holes in the walls of the planter. Fill it with potting soil and plant your bulbs next to the holes. Alternatively, plant small seedlings in correspondence to each hole. You can use multiple pallets stacked together and a wooden board to build a bench. Leave the middle of the pallets in sight and fill the space with potting soil. Plant your favorite flowers or aromatic herbs. The bench is ideal to place in a corner of your garden or next to a fence in the yard. If you don’t want to actually make planter boxes but use them to create original compositions, you can choose a few planters of different sizes and shapes and mount them to the wall in any pattern you like. Since everyone can use the imagination, it is guaranteed that each project and design will be unique. Just as brand new timber, distressed wood can be used to make planter boxes. You can use the wood untreated or paint it in your favorite colors. You’ll also have the freedom to choose the shape and size of each planter box. Building large wooden planter boxes is simple. All you’ll need is timber, nails, a hammer, and maybe wood glue. You can build any type of planter box and even raised beds. Ideally, you could use this planter box to make a colorful square foot garden. Like metal tool boxes, wooden gardening tool boxes can also be transformed into planters in a blink of an eye. Again, I suggest leaving the box as it is, and just fill it with good potting soil. The vintage effect of the wooden box makes it perfect to place in a shabby chic garden or in a rustic space decorated with a non-conformist flair. Tier hanging wooden planter boxes are ideal to decorate a porch or a balcony. They are easy to make with small wooden planters and rope, and easy to hang either on the edge of the balcony or in the ceiling of the porch. You can even decide whether to leave the wood in a natural color or paint it to match the décor of your home. Wine boxes can be used as planters in a way similar to the whiskey bottles. To make original planters, you can paint the boxes in the desired colors. Alternatively, if the wine comes from a renowned winery, just leave the winery’s logo in sight. In most cases, you’ll not have to drill holes in the bottom of the box but you can treat it with water repellent varnishes. A stepped ladder made of planter boxes can decorate with success a remote corner, a patio, or a porch. You could even use it indoors or on a terrace. It is easy to make a stepped ladder with planter boxes either by arranging wooden planters directly on a stepped ladder or by replacing the steps with wooden planter boxes. Another pallet recycling idea is to fix a wooden pallet to the wall and arrange small planter boxes on it. Alternatively, you can simply seal one side of the pallet with a wooden board, fill it with potting soil and use it as a vertical garden. With timber, nails, and a hammer, you can create a beautiful hexagonal planter box. For a more original solution, divide the interior of the planter into several smaller planters and use each space to grow a different herb. Otherwise, you can use the planter to grow perennials either in the garden or on your porch. An old chair and an old drawer can become a comfortable raised planter box. Simply remove the chair’s seat and keep only the legs. Fix the drawer to the legs with nails and use it as a planter box. If you want to build a taller planter, use the legs of a table instead those of a chair. Looking for an original design? Build a pyramid planter box with wooden boards. This project requires planning and some carpenter skills, but the result is simply awesome. You can build the planter as tall as you want and you can also play with dimensions to create the right object for your needs. The chests of drawers, dressers, nightstands, are pieces of furniture that you can easily transform into planter boxes. Therefore, next time you plan on redecorating your house, keep the old furniture to redecorate your garden too. Woven rattan planter boxes are easy to build from woven rattan panels. They won’t look so different from those bought from a store, but you’ll have the satisfaction of growing your plants in a planter build by yourself. Take an untreated wooden box, paint it in the desired shade, and suspend it from the ceiling on the porch or terrace. Fill the planter with potting soil and use it to grow some lush perennials. The original effect is guaranteed, and the planter will add value to a rustic environment. Talking about rustic environments, a DIY rustic planter box is also easy to make. In most cases, you’ll only need landscape logs or tree trunks. Cut the planter boxes directly into the trunks and arrange them along the pathway. Ideal for corners or to place next to the walls of the house, tiered herb planter boxes will bring some originality to your space. Paint the boxes in dark brown and finish the look with a layer of lacquer for a splendid effect. Cinder blocks can be used in a way similar to the concrete bricks. You can arrange them in any desired shape and use the planters to decorate your patio, yard, or flowerbeds. For a more original effect, paint the cinder blocks in pastel or bright colors. If you want to build an original gift, just make a large monogram of wood and divide it into multiple planters with small wooden boards. 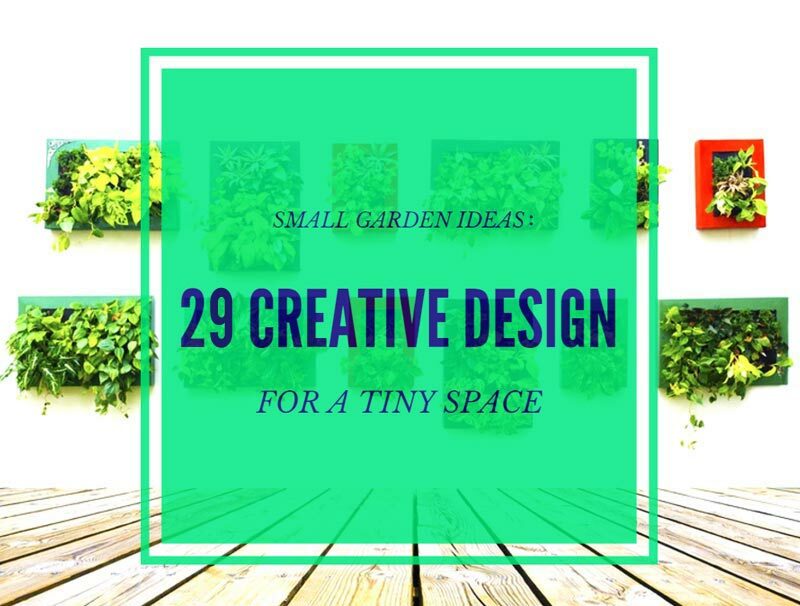 Plant a different herb or small succulent into each space to make an original garden. A gardening table can also be transformed into a planter box. Just fix a large wooden box on top of the gardening table and fix it with nails. A gardening table planter box is ideal to use to create a square foot garden. The roof of a birdhouse can also be transformed into a beautiful planter box. Build edging walls around the roofs, fill the space with potting soil and use the planter to grow small succulents. With this idea, you’ll get both an original planter and an original birdhouse. A small garden fence usually used as edging for a flower bed can also be used to build a planter box. Or to be more precise, to decorate a wooden planter and make it more original, as shown in the photo above. Use bright or pastel colors to make your planter box stand out. A square sink, but also a shower cubicle, can be used to make an original planter box. It is quite easy. Just fill the object with potting soil and plant your favorite plants. An old bath tub can also be used in the same way. Fruit boxes can be used in a way similar to the pallets to make original planter boxes. Thanks to the disposition of the wooden boards, you’ll not have to worry about drilling drainage holes. Use the planters in the garden or suspended on a porch or patio. With recycled wooden boards, build a painted planter box. If possible, use different types of wood and boards with different lengths and structures. Paint the whole planter in a solid color and use it to grow contrasting colored flowers. We hope these 42 creative DIY planter boxes ideas inspired you. Now, you can get your hands dirty and build the planter of your dreams! Wow, these are so creative! I’m definitely going to add a couple of these to my place. Thanks!